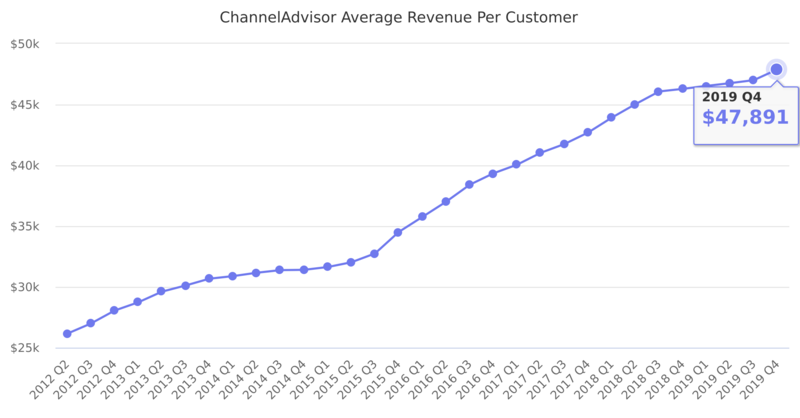 Average revenue per customer, calculated on a trailing twelve-month basis. Last reported quarter 2018 Q3 it was $46,073.00, up by 10% year-over-year from $41,748.00. From $150,492.00 in 2016 it increased by 10% to $165,521.00 in 2017.